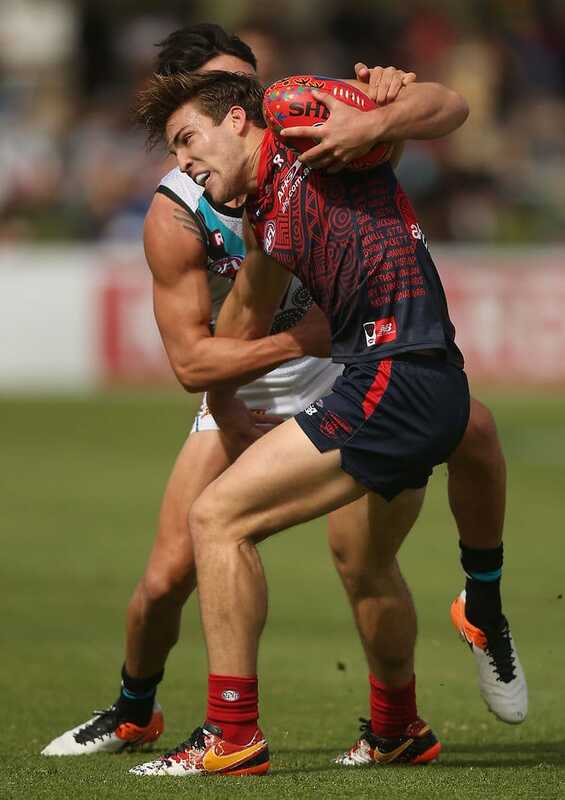 MELBOURNE midfielder Jack Viney will miss at least three weeks after having surgery on a fractured knucklebone in his hand. He injured his hand in the 45-point loss to Port Adelaide last Saturday in Alice Springs. Viney was offered a one-week suspension by the Match Review Panel on Monday after a series of punches to Brad Ebert's face. He was hurt before the blows that saw him suspended, which occurred in the third term. Demons football manager Josh Mahoney told the club website Viney would have surgery on Monday. “Early in the first quarter on the weekend, Jack injured his hand and scans today (Monday) have shown he has a fracture in his knucklebone,” he told melbournefc.com.au. “This requires surgery and he will be having surgery this afternoon. The Demons face Hawthorn at the MCG on Saturday, before facing Collingwood and the Sydney Swans, with the bye to follow.